Jack hard at work changing the water for his fish. Why can’t I get paid for chores? 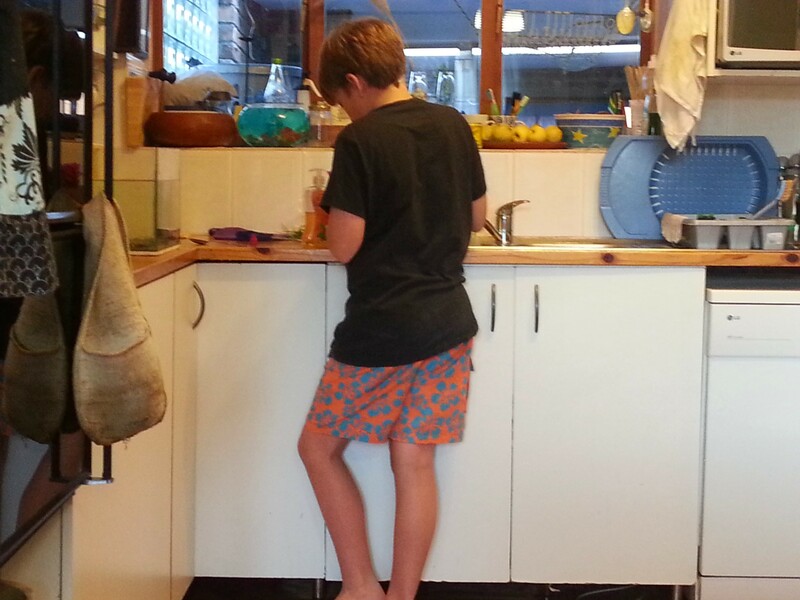 Posted on February 25, 2013 by Renee Moodie | Comments Off on Why can’t I get paid for chores? Unexpectedly my 10-year-old helped me make salad for supper. Chopping cucumber he said he wished he could get paid for doing this chore. I said not all chores get paid for (he does get paid for picking up dog poo in the garden), and that we do them in the house, for each other, as a way of keeping things pleasant for everyone in the house. But… is the resentment we feel at doing chores in part because it is not paid work? Comments Off on Why can’t I get paid for chores? Change your To Do list from a stew of chores into a daily walking meditation on the value of life.